It's the most wonderful time of the year: time to give open source presents. 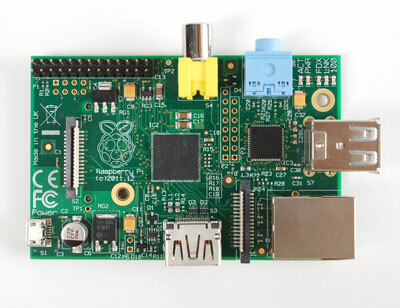 The opensource.com team gathered ten of our favorite gadgets to help you pick out that perfect present for that special (open source) someone. Some of these items will be a part of our 2012 open source gift guide giveaway. 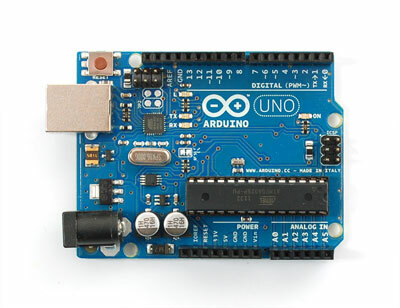 Arduino is the well-known, open source prototyping board intended for artists, designers, and hobbyists. Use any of a myriad of shields with it to control lights, motors, sensors, and actuators. Arduinos are programmed using the Arduino programming language (based on C++) and can be used for standalone projects or with other devices and software. You can get them and accessories from several suppliers for $29.95. BeagleBone is another low-cost, credit-card-sized development board with a 720 MHz processor and 256 MB of RAM. BeagleBone can be complemented with "capes," stackable plug-in boards that augment BeagleBone's functionality. Currently, BeagleBoard (maker of BeagleBone) is running a contest for the best BeagleBone cape design. The deadline is December 31, so start developing now! You can get one here for $89. 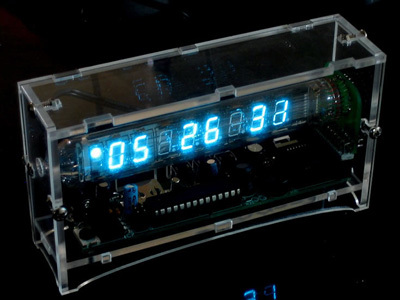 The Adafruit Ice Tube Clock is a clock kit housed in a retro Russian display tube. It features a glowing blue tube with eight digits and an alarm. The clock is open source, so you can program the chip/firmware. You can get one from Adafruit for $85. 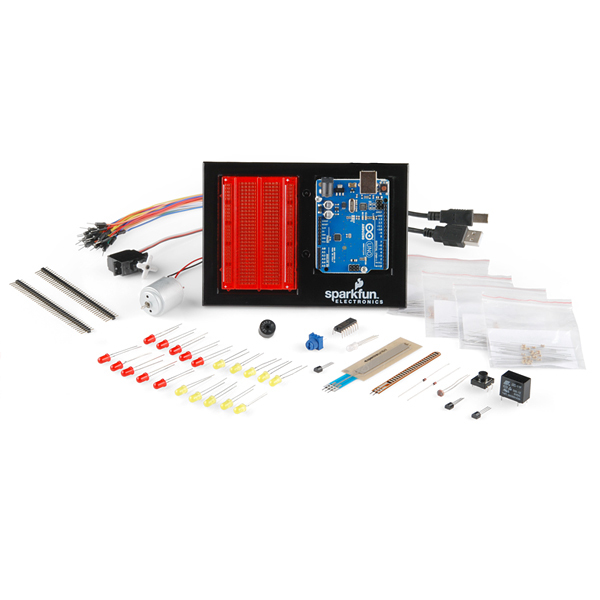 This kit includes an Arduino Uno R3, the new baseplate, and lots of sensors, so it's great for beginners to get started with programmable electronics. You can get it from SparkFun for $94.95. 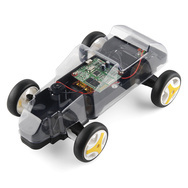 The i-Racer is a remote-controlled car that's ready to drive right out of the box. The Bluetooth radio allows you to pair it with an Android device as the controller (or you can build your own controller). Get it from SparkFun for $29.95. The NanoNote is a small-form-factor computing device. It has a 336 MHz processor, 2GB flash memory, a microSD slot, headphone jack, USB device and battery. According to its website, it's the perfect companion for open content. Their vision for the NanoNote is developers turning the device into an open content device like an ogg-video player or MIT OpenCourseWare gadget. The NanoNote boots Linux out of the box, and it's targeted at developers who love open hardware. Get it from Sharism for $149. Get it from Adafruit for $24.95. The MintyBoost is a very small, simple kit by Adafruit to make a small USB charger for your mp3 player, camera, cell phone, or anything that charges over USB. Get one from Adafruit for $19.50. This gift list was currated by the moderator team for opensource.com with help and suggestions from coworkers at Red Hat. Great list Casey, tehre is some nice idea of gadgets for my geek-friends.